Of all the pictures in this collection, this is the most nostalgic. 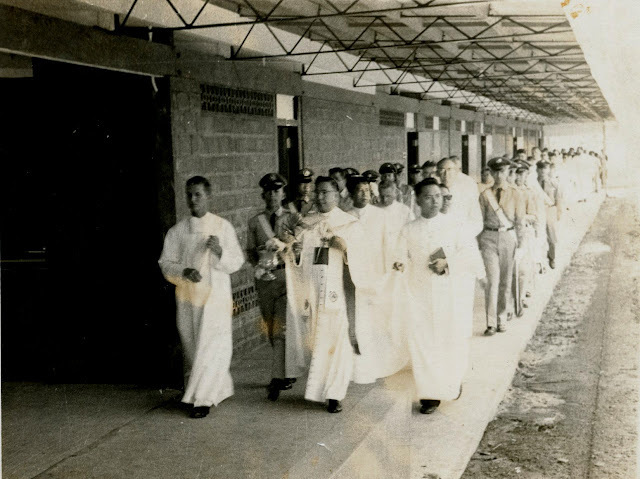 I do not know this for a fact because this was before my time at DLSL, but it looks like there was a religious procession of some sort along one of the original three red brick wings of the school built in 1962. 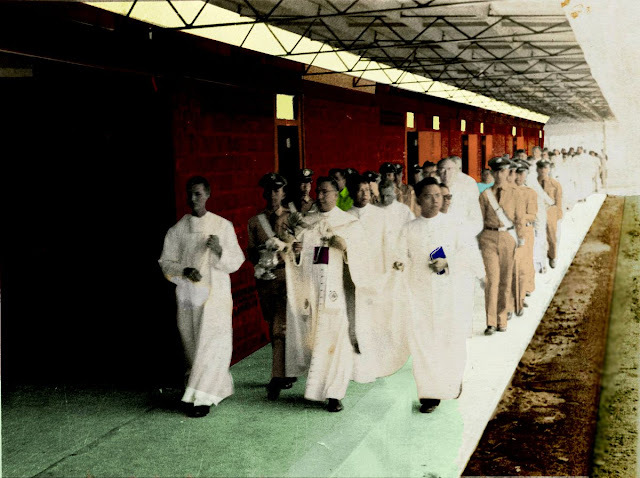 This was also the most difficult to colourise because the picture was taken with too much exposure and it was difficult to discern contours where there was too much white.